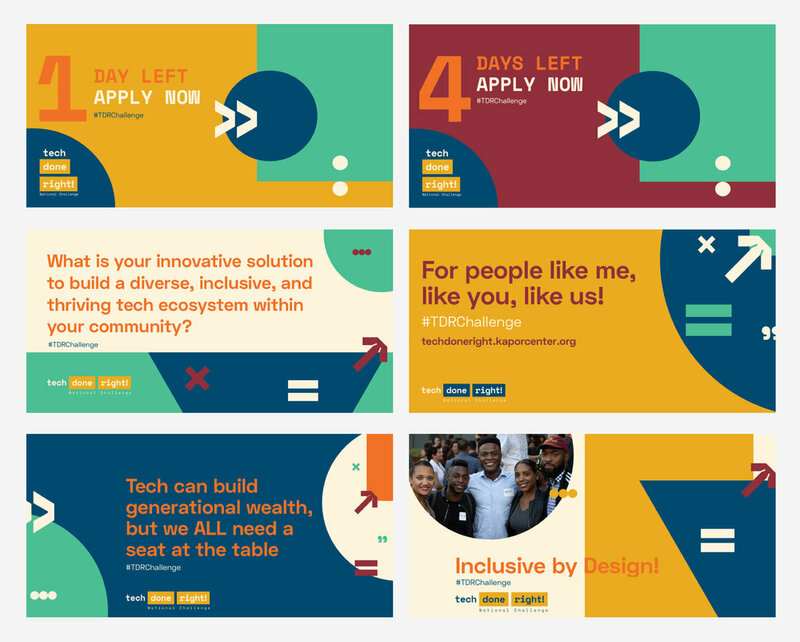 I recently designed a brand campaign for the Kapor Center’s latest initiative, Tech Done Right. Tech Done Right is a national challenge that gives money to startups/organizations that are minority or women led. I led the creative direction, visual strategy, the social media campaign and also designed the website. I created a logo that alluded to coding but could dually act as a container for content. Thus allowing a design system where various messaging is inserted interchangeably. The coding box marker also puts emphasis on “done right” which captures the spirit of the Kapor Center’s approach to this program. The roundness of the typeface conveys community and inclusivity.